Osteoarthritis (OA) is a chronic condition of the joints characterized by symptoms related to the wearing away of the protective cartilage; those symptoms include pain, stiffness, inflammation, and functional limitations affecting self-care activities. Although OA may occur in any joint, it most often develops in weight-bearing joints, especially the knees, hips, or spine, with symptoms ranging from minor pain to debilitation. Among the various possible physiological reasons and risk factors for OA, recent research has investigated the causative role of the quadriceps muscle. This muscle may affect functional limitations and weakness, knee joint loading, and proprioceptive deficits, which seem to contribute to the development or progression of knee OA.3 Quadriceps function is essential to basic self-care activities of daily living, such as rising from a chair, standing, walking, and ascending and descending stairs.4 Researchers have found that quadriceps weakness is associated with increased pain and altered walking patterns.5 This evidence suggests the quadriceps may have a role in the disease and, therefore, is a logical target for intervention. ￼Figure 1. Knee pain mean pre- and post- treatment scores. Lower scores indicate perceived improvement in pain. The reported benefits of massage include breaking the pain cycle, improving function, reducing edema, promoting relaxation, and facilitating healing in various medical conditions.8 However, in a 2009 Cochrane review, Furlan et al9 concluded massage is bene­ficial for relief of patients’ pain and function in subacute and chronic nonspecific low back pain. In 2012 Perlman et al published a report on the optimal dose of massage among patients with knee OA for improving pain and functionalty.10 Although the study’s evidence suggested weekly 60-minute massage was optimal, the continued use of therapist-administered massage as a regular treatment in the management of this chronic disease can be cost-prohibitive. Figure 2. Knee stiffness mean pre- and post-treatment scores. This study was conducted with the required inclusion and exclusion criteria, recruitment method, Institutional Review Board approval, and randomization. We randomly assigned 40 participants with diagnosed knee OA with moderate symptoms to an intervention group (n = 21) or a “wait-list” control group (n = 19), which continued their regular care during the study and received the self-massage intervention after its end. 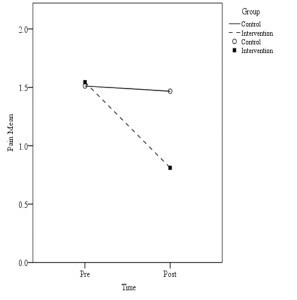 For eight weeks, the intervention group received supervised biweekly therapy in a group setting, which involved 20 minutes of self-massage applied over the quadriceps muscle while seated on a chair. This group received supervised self-massage instruction narrated by a trained massage therapist (for details and self-massage protocol, consult the related publication by Atkins and Eichler12). During the final four weeks, participants did the same protocol twice a week at home, unsupervised. The WOMAC instrument is an established, reliable, and validated, disease-specific, 24-question, self-administered questionnaire. It assesses the perceived measurement of three subscales: pain, stiffness, and physical functioning of knee and hip OA. Between-group analysis of covariance (ANCOVA) was used to assess the differences between control and intervention groups for the post-treatment outcome measures of pain, stiffness, function, and total mean WOMAC scores. The same type of analysis was also used to assess differences between control and intervention groups after controlling for preexisting factors. The independent variable was grouped, with two levels—control and experimental. Twenty-eight analyses were conducted, 24 for aspects related to WOMAC measures (Table 1). 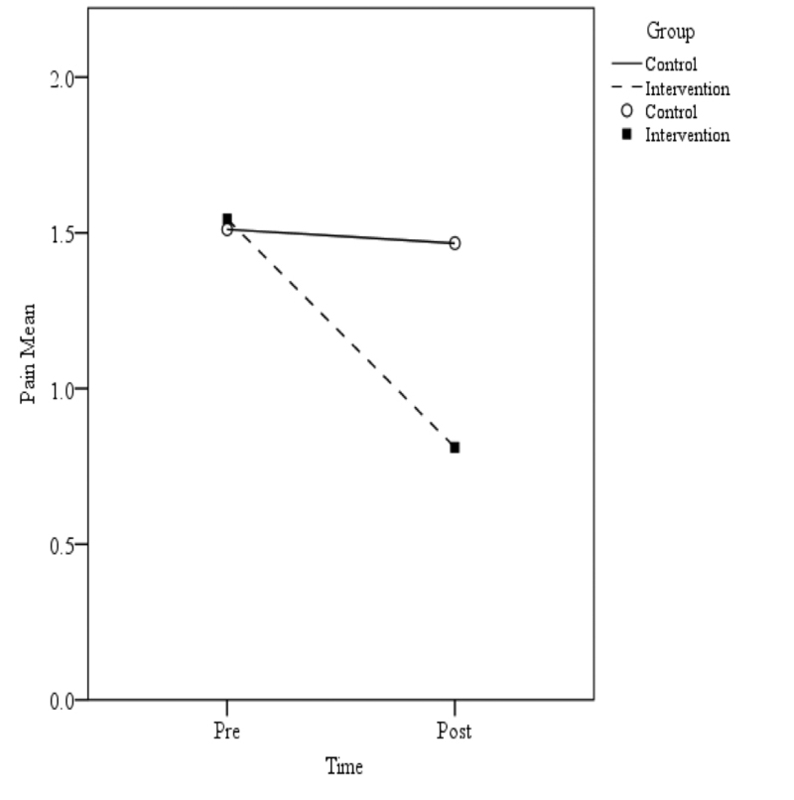 The post-treatment differences between control and intervention groups were statistically significant. Lower scores in the figures indicate symptom improvement. The pain subscale post-treatment score outcomes showed significant differences between control and intervention groups for walking on a flat surface, ascending or descending stairs, at night while in bed, sitting or lying, and standing up (Table 1, Figure 1). For the stiffness subscale, significant post-treatment score differences between groups were observed for first waking in the morning and lying, sitting, or resting later in the day (Table 1, Figure 2). The results also showed significant differences between groups for post-treatment score physical function, including highly significant results for descending stairs, ascending stairs, rising from sitting, getting in and out of bed, going shopping, putting on socks, rising from bed, lying in bed, getting on and off the toilet, and light domestic duties (Table 1, Figure 3). WOMAC total mean score after 12 weeks was significantly better for the treatment group than the control group (Table 1, Figure 4). Figure 3. Physical function mean pre- and post-treatment scores. Analyses of WOMAC pain, stiffness, function subscales, and total WOMAC scores indicated significant differences between groups (p < .05). The observed improvements are most likely attributed to the self-massage intervention, given the absence of improvement in the control group. Significant studies make an important difference in people’s lives. This is the first randomized controlled trial to examine the effects of a self-massage protocol applied to the quadriceps muscle on adults with knee OA. The underlying mechanism explaining the beneficial effects of massage on joint pain and mobility are unclear. However, it seems logical that if massage may increase circulation14 and decrease muscle tension and pain15 then massage of a dysfunctional quadriceps muscle may, in theory, also reduce muscle and joint pain, thus improving mobility. Similarly, in the current study, the last four weeks of at-home unsupervised self-massage continued to generate an average decline in pain and stiffness, which may also demonstrate the benefits of multiple dosing. Figure 4. Total mean WOMAC pre- and post-treatment scores. Self-massage research is in its early stages, and there is little research to support its therapeutic value, though two studies on the benefit of massage for hand arthritis19 and carpal tunnel syndrome20 have incorporated the use of self-massage. Future studies should compare self-massage with an active intervention, such as full-body massage, to reveal potential placebo effects. Even though its exact mechanism of action is unknown, our findings indicate self-massage applied to the quadriceps muscle resulted in significant WOMAC improvements in knee pain, stiffness, and physical function. Teaching older adults the self-massage intervention successfully requires repetition and sufficient time for them to learn and retain new information. 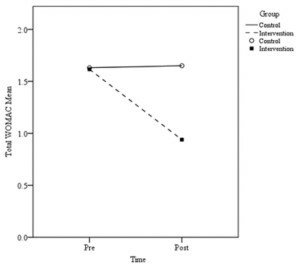 Individuals’ health, disease, and any disability can also affect their learning.21 Previously, we conducted a small eight-week knee self-massage pilot study that included only four weeks of in-class supervision and four weeks of unsupervised self-massage. That intervention produced less pronounced effects on pain, stiffness, and function than we had an­ticipated. As a result, we revised our study design to include eight weeks of instruction, which produced significant improvements. This on-demand, natural, economical self-help therapy should be examined in future massage therapy research. The 4.3 million people in the US with knee OA may benefit from this model as an option for self-managing arthritic knee symptoms. Self-massage for knee OA is only one self-care strategy for symptom relief; evidence also suggests that yoga, tai chi, exercise, water aerobics, and patient education are beneficial.22 More emphasis is needed on developing, researching, and educating patients about self-care protocols for common arthritic conditions. More effective symptom-focused arthritis self-care has the potential to improve quality of life for the ever-growing number of persons living with any form of arthritis. Dorothea V. Atkins, ThD, RN, is chief executive officer and founder of Holos Touch LLC, in Audubon, NJ, a resource for self-management of pain. David A. Eichler, PhD, is professor at Holos University in Bolivar, MO, and educational and behavioral consultant at Project STAY, a multidisciplinary technical assistance team in northeast Kansas. Disclosure: The authors declare there are no conflicts of interest. 1. Dillon CF, Rasch EK, Gu Q, Hirsch R. Prevalence of knee osteoarthritis in the United States: arthritis data from the Third National Health and Nutrition Examination Survey 1991–94. J Rheumatol 2006;33(11):2271-2279. 2. Lawrence RC, Felson DT, Helmick CG, et al. Estimates of the prevalence of arthritis and other rheumatic conditions in the United States. Part II. Arthritis Rheum 2008;58(1):26-35. 3. Bennell KL, Hunt MA, Wrigley TV, et al. 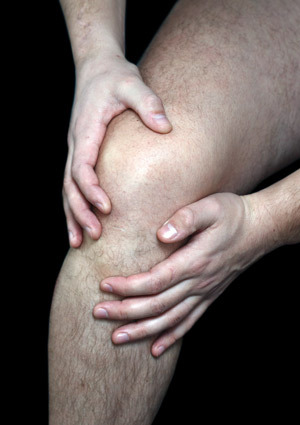 Role of muscle in the genesis and management of knee osteoarthritis. Rheum Dis Clin North Am 2008;34(3):732-734. 4. Hurley MV. The role of muscle weakness in the pathogenesis of osteoarthritis. Rheum Dis Clin North Am 1999;25(2):283-298. 5. Sharma L, Dunlop DD, Cahue S, et al. Quadriceps strength and osteoarthritis progression in malaligned and lax knees. Ann Intern Med 2003;138(8):613-619. 6. Katz WA. Themed review: nonpharmacologic approaches to osteoarthritis. Am J Lifestyle Med 2007;1(4):249-255. 7. Brandt KD. Non-surgical treatment of osteoarthritis: a half century of “advances.” Ann Rheum Dis 2004;63(2):117-122. 8. Cassar, MP. The Handbook of Clinical Massage: A Complete Guide for Students and Professionals. New York: Churchill Livingstone;1999:78. 9. Furlan, AD, Imamura M, Dryden T, Irvin E. Massage for low back pain: a systematic review within the framework of the Cochrane Collaboration Back Review Group. Spine 2009;34(16):1669-1684. 10. Perlman AI, Ali A, Njike V, et al. 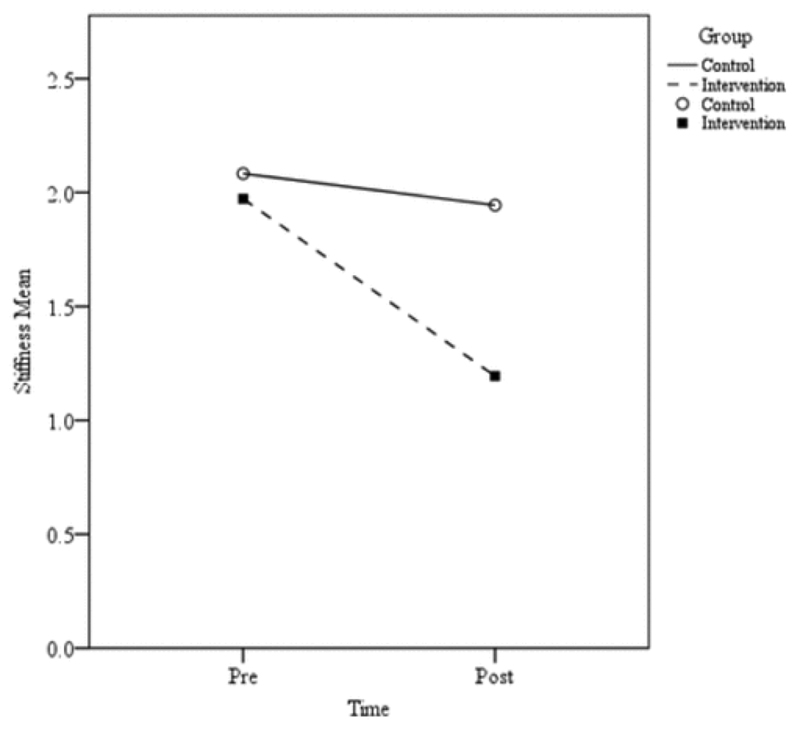 Massage therapy for osteoarthritis of the knee: a randomized dose-finding trial. PLoS One 2012;7(2):1-8. 11. Van Baar ME, Dekker J, Oostendorp RA, et al. Effectiveness of exercise in patients with osteoarthritis of hip or knee: nine months’ follow-up. Ann Rheum Dis 2001;60(12):1123-1130. 12. Atkins DV, Eichler DA. 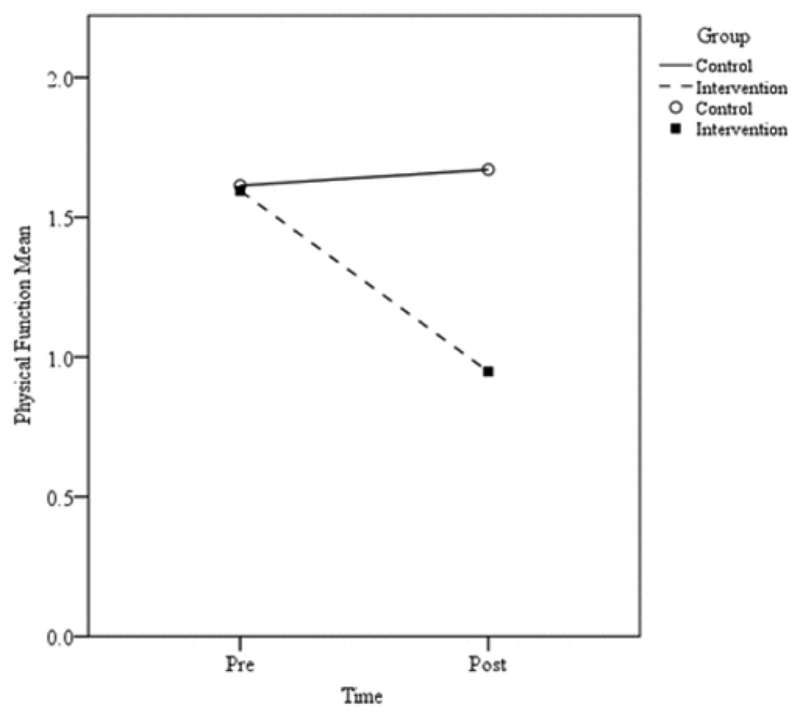 The effects of self-massage on osteoarthritis of the knee: a randomized, controlled trial. Int J Ther Mass Bodywork 2013;6(1):4-13. 13. Bellamy N, Buchanan WW, Goldsmith CH, et al. Validation study of WOMAC: a health status instrument of measuring clinically important patient relevant outcomes to antirheumatic drug therapy in patients with osteoarthritis of the hip or knee. J Rheumatol 1988;15(12):1833-1840. 14. Cherkin DC, Sherman KJ, Kahn J, et al. A comparison of the effects of 2 types of massage and usual care on chronic low back pain. Ann Intern Med 2011;155(1):1-9. 15. Frey Law LA, Evans S, Knudtson J, et al. 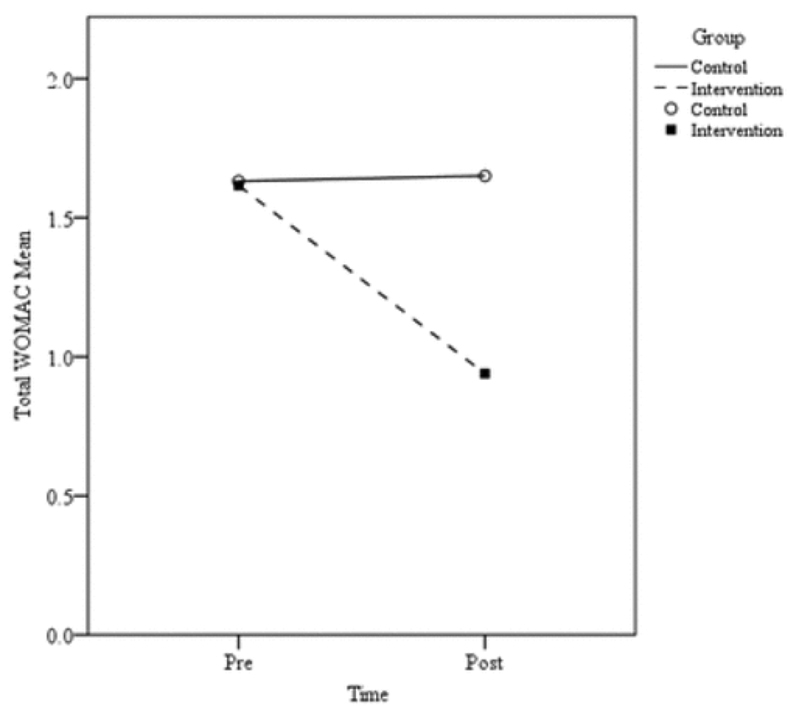 Massage reduces pain perception and hyperalgesia in experimental muscle pain: a randomized, controlled trial. J Pain 2008;9(8):714-721. 16. Robertson A, Watt JM, Galloway SD. Effects of leg massage on recovery from high intensity cycling exercise. Br J Sports Med 2004;38(2):173-176. 17. Diego MA, Field T, Hernandez-Reif M, et al. HIV adolescent show improved immune function following massage therapy. Int J Neurosci 2001;106(1-2):35. 18. Moyer CA, Rounds J, Hannum JW. A meta-analysis of massage therapy research. Psychol Bull 2004;130(1):3-18. 19. Field T, Diego M, Hernandez-Reif M, Shea J. Hand arthritis pain is reduced by massage therapy. J Bodywork Mov Ther 2007;11(1):21-24. 20. Field T, Diego M, Cullen C, et al. Carpal tunnel syndrome symptoms are lessened following massage therapy. J Bodywork Mov Ther 2004;8(1):9-14. 21. Mauk LK. Reaching and teaching older adults. Nursing 2006;32(2):17. 22. Katz WA. Themed review: nonpharmacologic approaches to osteoarthritis. Am J Lifestyle Med 2007;1(4):249-255. I am one of the authors of ” Knee self-massage for OA pain”. I read the LER and I was honored to have been selected to present the research to the professional practitioner readers of your magazine. The editors and staff did a fine job. My research along with the other research articles, were presented in a well organized lay-out, that was easy to read, understand and follow. Additionally, the captions were concise, will written and interesting. The contrasting colors highlighted the tables and graphs making them easy read and understand. I am proud to have my research published and read by professional peers and to make a significant contribution in the field of lower extremity research.